The residential construction sector has been growing steadily, and new housing finance figures released recently indicate further strengthening in the sector. In 2012/13, recovery in the residential construction sector was driven by two states primarily: New South Wales and Western Australia, but recent figures indicate that the nearly all the major states and territories are now contributing to the growth. 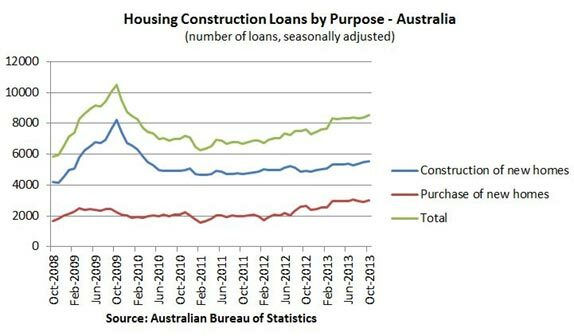 Loans for construction of new homes rose by around 1% and those for the purchase of new homes rose by around 3.6%. These new figures have been welcomed by building industry groups, with Housing Industry Association Chief Economist Harley Dale mentioning that these figures support the expected positive outlook for the industry in the coming year. Master Builders Australia Chief Economist Peter Jones also shared the same views.